Are you staying on top of your pay-per-click advertising efforts? If not, you could be losing quite a bit of money. PPC advertising and campaigns are the most common way of advertising on the Internet, thus many businesses consider a good PPC campaign as a strong component of their SEO efforts. In short, a good PPC campaign allows businesses to determine who visit their site, thereby allowing them to increase revenue. But because PPC advertising is based on keyword selection and a good understanding of the competition, many businesses may be missing the mark for developing a well-managed PPC advertising campaign. If you have a website that wasn’t properly defined and can’t be navigated with ease, then you can be sure you won’t experience good website conversion rates. Keep in mind that finding a PPC recipe that works best for you may take some time and effort on your part. You may need to test a few different versions of your website to come up with the winning design. Don’t make the mistake, however, of creating pages and pages of content when, in some cases, a great landing page may be all you need to get the job done. In other words, your website isn’t a one-size-fits-all type of deal, and what works for a competitor may not work so well for you. If at first you don’t succeed, try and try again, as they say. You must use tracking through such avenues as AdWords tracking and Google Analytics if you expect to learn which pages, ads or keywords are working and which ones are missing the mark. It’s never a good idea to get into a PPC campaign if you don’t plan on tracking your efforts. Again, you may not come up with the winning recipe right off the bat, so you must be able to track your efforts and make adjustments as needed. Sending visitors to broken links is certainly the easiest route to failure with your PPC campaign, so always remember to change your PPC elements when you change or delete web pages. Make sure your PPC accounts are always in synch with your website! You must keep your eye on the competition so you can compare your core keywords and your competitors’ messaging. Having a pulse on the competition will allow you to switch up your PPC strategy so you can always stay a step ahead of your competition and distance yourself from the crowd. Never think about your PPC campaign as a one-time thing. You must keep on top of your PPC campaigns on a regular basis, even once a day, if you expect to get your money’s worth out or PPC ads. Just a few minutes of your time can eliminate a lot of lost revenue, so it is well worth your time and energy to stay on top of your PPC campaign! Richard is the CEO & Broker of VIP Realty, The Premier Firm in Real Estate. Our offices focus on the Dallas office space & San Antonio office space commercial markets. 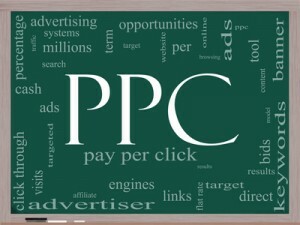 Exactly How Does PPC Work? How to Devise a Psychology Based SEO Strategy?